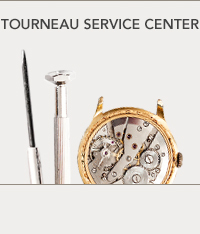 How Does Tourneau Financing Work? 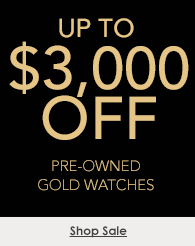 How do I apply for the Tourneau credit card? Can I make a payment in-store? We do not accept in-store payments. You may send payments to: Department of Accounts P.O. Box 731 Mahwah, NJ 07430. Please make your check or money order payable to DEPARTMENT OF ACCOUNTS. Ensure your account number is written on the front of your check or money order. Whom do I make the check or money order payable to? Make your check or money order payable to Department of Accounts. How do I make payments over the phone? You can call 800.252.2551 to pay your credit card bill using the Automated Touch-Tone Bill Payment Service. Is there a fee to pay over the phone? Payments made using the Automated Touch-Tone Bill Payment Service do not require a fee. Can I postdate my payment? No, payments will be posted with the effective date the payment was processed if done by 5:00 pm, EST and on the next business day if processed after 5:00 pm, EST. Only money orders and check payments over the phone are accepted at this time. Do I have to void my check if I make my check payment over the phone? No, your payment is electronically debited from your checking account. A check number is not used when making a payment. How long does it take for my payment to post if I do a check by phone? It takes approximately 2-3 business days for your payment to process and post to your account. You can manage your account online by logging into www.myonlineaccount.net. How can I view the current status of my account? Once you log-in, you will see a brief summary of your account. You will also see current balance and payment status as of the date and time shown on the page. It also allows you to display recent transactions that have posted to your account since your last statement (by selecting the See Pending Activity or See Current Activity links). For a more detailed summary of your account, click on Account History link. Is there a way for me to check my most recent transaction? Select the See Pending Activity or See Current Activity links. Can I print the statement out for my own records? Yes. If you are enrolled in E-Statements, you will be able to print your statement by clicking the See Account History Link. On the Account History page, click the Print Statement link at the top right corner of the page. This will open a PDF file of your statement. Click the Print Page link at the top right corner of the page to print a copy of your statement. Where can I find information about transactions made in the past? You have the ability to search information in your Current and Pending Activity listings as well as available Account History. Click the Search link from the Account Information Menu to run a query based on the following criteria: Transaction Date, Statement Date, Amount, Description/Merchant, Merchant Group Category and Custom Category. Select the Credit Line Increase link from the Services menu at the top of the page. Complete the “Request a Credit Line Increase” form and click Submit. You will receive a response regarding the status of your request within 3-5 calendar days of submission. Track the progress of your request by accessing Get Messages from the Help Center menu option. How can I check my available credit? Please send your request via regular mail to Department of Accounts, PO Box 731, Mahwah, NJ 07430 or contact a customer service representative at 800.252.2551. Credit Services representatives are available Monday through Friday 9:00 am - 9:00 pm, EST and Saturday from 9:00 am - 5:00 pm, EST.